The air was warm that night – not exactly traditional football weather. But none of the thousands of people crammed into Princes Park cared. Sitting on old timber and not-so-old plastic seats, standing in aisles and leaning against the boundary fence, they waited patiently for the first bounce. Some of them had waited decades for this night, others only months or weeks. And when the siren sounded and the ball was thrown into the air for the first time, they erupted, their noise an expression of their passion, of their joy, of long-held dreams realised. That night at Princes Park, history was made. The first AFLW game was played on Friday February 3rd, 2017 at Princes Park between Carlton and Collingwood. Twenty-four and a half thousand people filled every inch of the stadium. Thousands more were locked out. The stands were filled with footy die-hards and interested observers, people who had long known of women’s football and others who were only just learning. The First Friday in February is an audio documentary that will take you back to that night, reliving that first game and all that it meant through the memories of women who were there. They each have a story: their story of that First Friday in February. 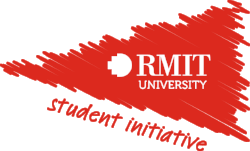 The First Friday in February is supported by a grant from RMIT University.